Recently Disney announced the dates for one of my all-time favorite Disney World events…Mickey’s Not So Scary Halloween Party! The party is held at the Magic Kingdom from 7pm to 12am. I have been to this party several times and I would highly recommend it. 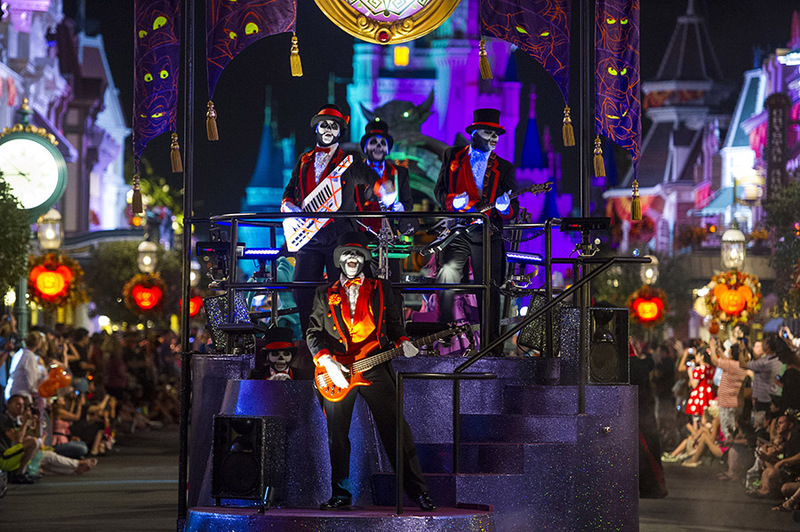 Mickey’s Not So Scary Halloween Party is a lively and light-hearted experience and it is truly a family friendly event. There are special parades, exciting dance parties, stunning fireworks and tons of trick-or-treating stations filled with candy for everyone! My kids and I have such a great time every time we go. Adults and children alike really get into the spirit of the event by dressing in costume, trick-or-treating and dancing the night away with all of the characters. You’ll want to purchase your tickets as soon as possible if you plan to attend, because they do sell out. The Halloween season, is one of my favorites. Spending time in Disney makes it that much more special. Congrats on your new book. Can’t wait to get it, as I loved your last book. Keep writing….you are good at it! Nice summary on the Not So Scary Halloween Party. As a Senior it was fun to be in costume with the Family and even to get some Halloween Candy to enjoy along the way. Not sure if the neat cover numbers design on your new book adds up to 501, but we are looking forward to learning even more ways to have fun at WDW. We will be an early purchaser to get ready for our next trip.